Eager to enjoy flowers other than what’s in the supermarkets, I visited the Lyman Estate Greenhouses in Waltham, Massachusetts to see their camellias that are now in full bloom. 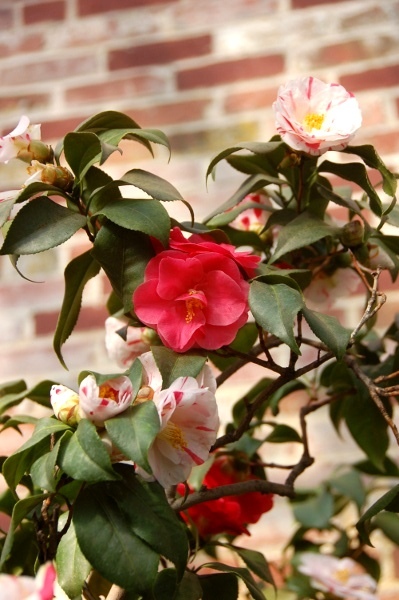 Amazingly, the camellia house dates back to 1820 when Boston’s elite could afford to enjoy floral blooms in the middle of winter. It is not a large collection with just over a dozen camellias. 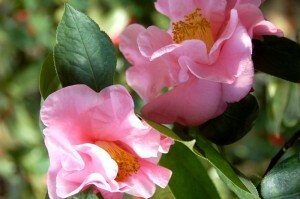 However, some of the camellias are over a hundred years old, which makes them quite special. In addition to the camellia house, there are other plants in bloom, such as brilliant fuschia bougainvillea and azaleas, in the three grape houses and the orchid house. 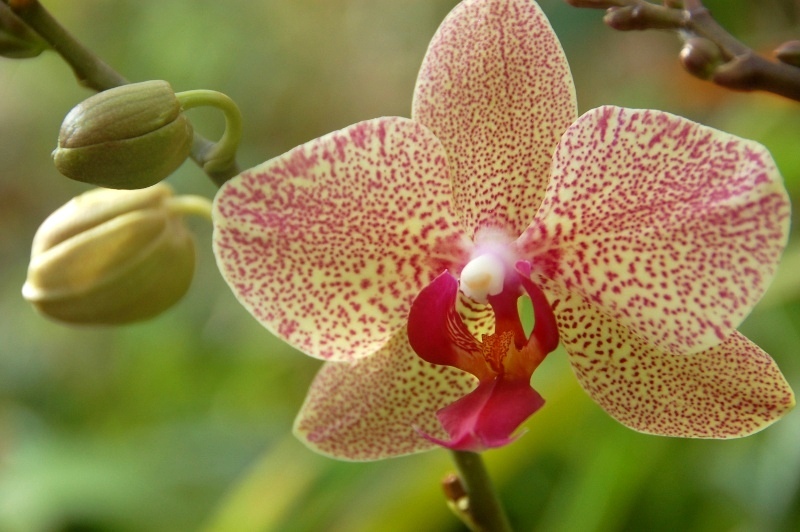 Beautiful and unusual orchids are also sprinkled liberally throughout the greenhouses. As I was leaving, I noticed a flowering cactus called the Crown Thorn, which I had never seen before. 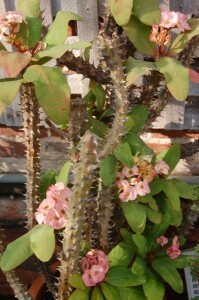 Apparently, it is the most commonly grown succulent known as Euphorbia milii, or Christ plant, and is a native of Madagascar. The one I saw was at least two feet tall and can grow to three feet in height. Its sharp spines are an inch long. 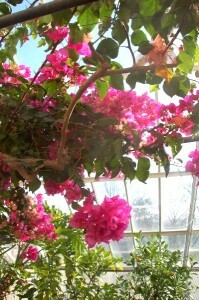 However, it’s most captivating feature, I think, are its glorious clusters of pink blossoms, known as bracts. The greenhouse also has a shop with plants for sale as well as books, gardening supplies and decorations. Overall, the visit took about a half hour. It is worth stopping by if you are in the Waltham area. However, if you are coming from a distance, it would be better to try to arrange a tour of the Lyman mansion as well.